Are you organizer of conference? Your participants will be pleased to receive a unique personalized artifact. A magnet with photo and logo of your event is the best you can think of. 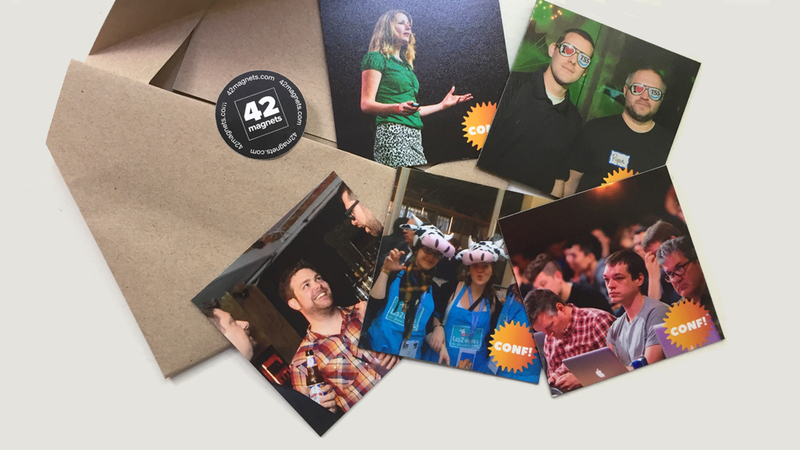 Engage your members before the event, give them an opportunity to upload their photo and get a memorable magnet at the conference during register or by post after the event.